With this year’s Oscars being handed out on Sunday, Hollywood is in the grip of awards fever. But there are some awards no movie stars want. The winners of the Golden Raspberries, for the worst films and performances of the year, have been announced. Sherlock Holmes rehash Holmes & Watson won four including worst film and worst supporting actor for John C Reilly. Melissa McCarthy won worst actress – despite the fact she is also up for the best actress gong at the actual Oscars. 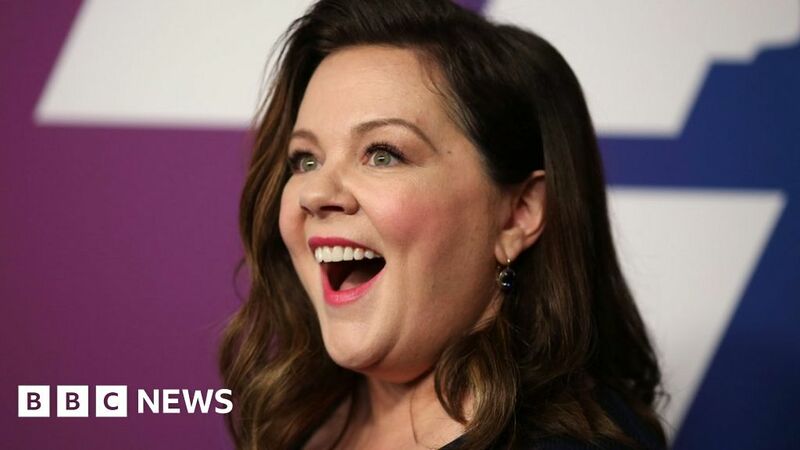 She received her Razzie for her roles in both The Happytime Murders and Life of the Party. However, she did receive a consolation in the form of a “Razzie redeemer award” for Can You Ever Forgive Me? – the film for which she is nominated for best actress at the real Academy Awards. She plays author-turned-conwoman Lee Israel, but she’s an outsider for the Oscar – she’ll have to beat Glenn Close and Olivia Colman, among others, to win. Even if she does, she won’t be the first person to win an Oscar and a Razzie in the same year. Sandra Bullock managed that in 2010, when she won the Academy Award for The Blind Side a day after she picked up the raspberry-shaped statuette for All About Steve. She even turned up to the Razzies ceremony with a trailer full of DVDs of the offending film. Unfortunately, McCarthy didn’t have the chance to receive her raspberry in person because the Razzies no longer hold a physical award ceremony. Razzie redeemer award – Melissa McCarthy, Can You Ever Forgive Me?